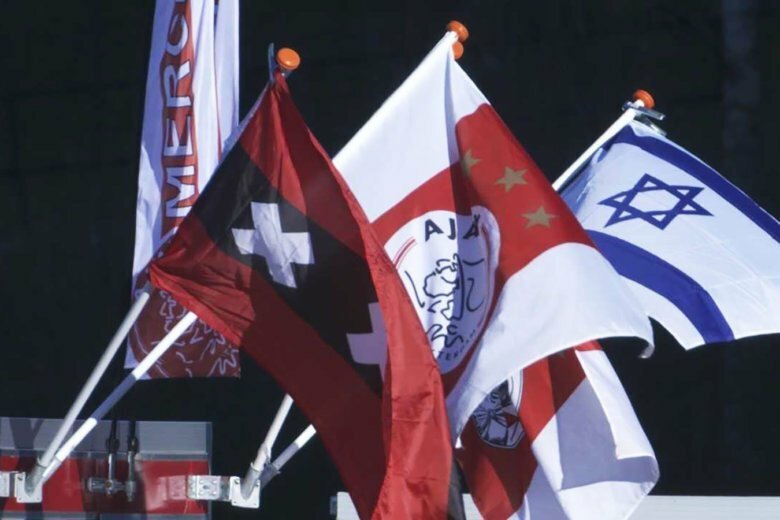 Stalls close to the Johan Cruyff Arena sell Israeli flags to supporters. It takes less than a minute to walk from Amsterdam's Portuguese Synagogue to the "De Dokwerker" statue, a monument against anti-Semitic laws whose defacement last week caused headlines both inside and outside the country. (CNN) — It takes less than a minute to walk from Amsterdam’s beautiful Portuguese Synagogue to the “De Dokwerker” statue. The dockworker, as it is known in English, stands as a permanent reminder of the day Amsterdam came together on February 25, 1941 to protest against the anti-Semitic laws imposed on its Jewish citizens by the Germans.